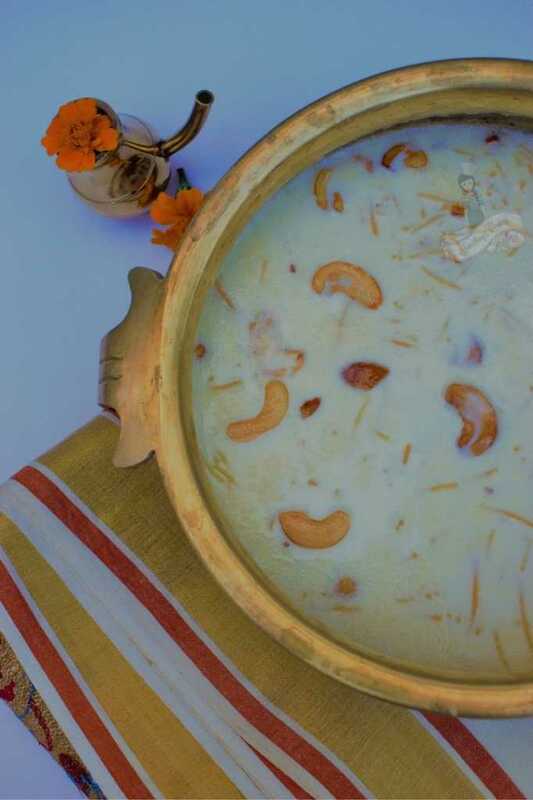 Semiya Payasam is a classic South Indian dessert made of milk, roasted vermicelli, and sugar. Ha! 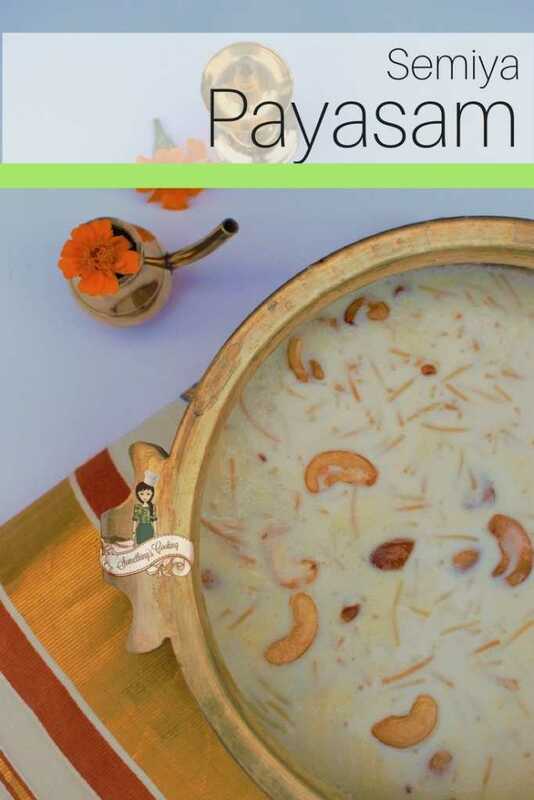 One of the easiest Payasams of all times, Semiya Payasam is prepared on all festivals and special occasions like birthdays. It is creamy, sweet, and delicious and can be served cold or warm. An alternative to the Vermicelli Kheer which is popular in northern parts of India, Semiya Payasam generally do not include saffron. Onam Sadya is incomplete without a Payasam, be it Pal Payasam (made of milk) or Sharkara Payasam (made of jaggery). I always loved the milk based varieties. I have fond memories when it comes to Semiya Payasam. As a child, I couldn’t pronounce the word Semiya or Vermicelli. It’s not very easy to roll off the tongue, right? Well, at least for a child. So I named this pudding as One-One Payasam. No brownie points as to why I came up with this! Because it looks like the payasam was full of numeral one! 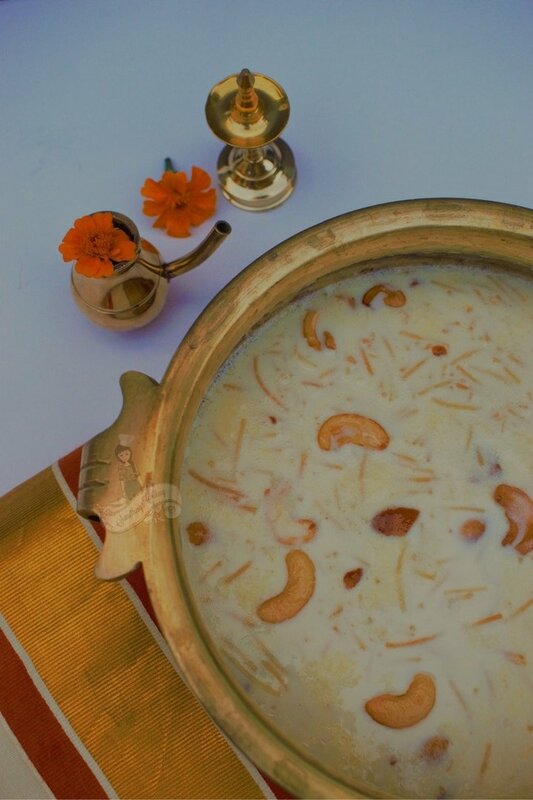 During Sadya especially in the capital Thiruvananthapuram, Semiya Payasam is served along with Boli, a stuffed sweet dish that is similar to Puranpoli or Obbattu. Match made in heaven! For me, this was the best part of the feast. 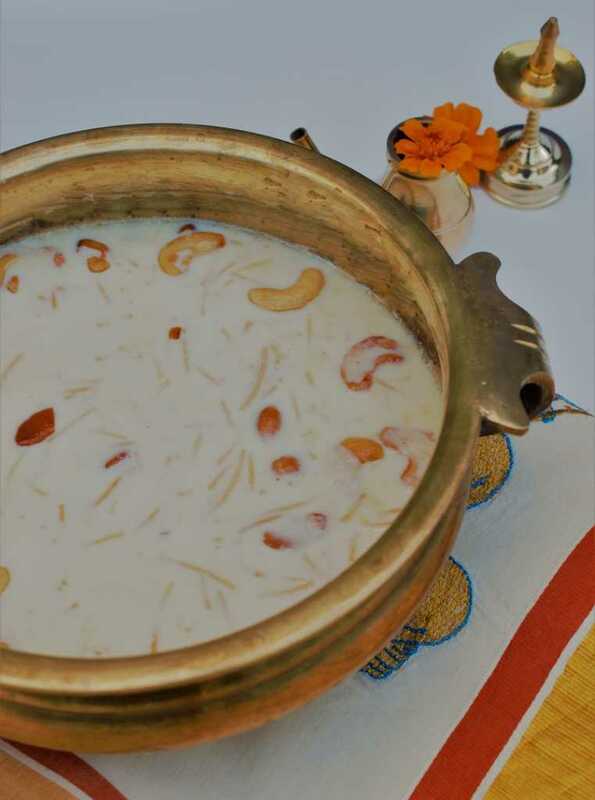 Semiya Payasam is prepared by cooking roasted vermicelli or semiya in reduced milk. Top it with roasted cashews and raisins, and a good amount of sugar, you are good to go. My mom adds condensed milk as well so as to make it thicker and get a creamier consistency. It is great when you serve in Sadya, on a banana leaf. Doesn’t make it runny and easier that way, right? I haven’t prepared this Semiya Payasam with Milkmaid or condensed milk as we were consuming it served in a glass. We also add a handful of tapioca pearls or sabudana. It’s a favorite among kids to find small soft roundels in the payasam. In a hot pan, add ghee. Roast cashews and remove. In the same pan, roast vermicelli until light golden brown. Remove and keep aside. To the same pan, add milk. Keep the heat to medium low and allow the milk to boil. Keep stirring so that the milk doesn't stick to the pan. Meanwhile, cook tapioca pearls in a cup of water in a pressure cooker until a whistle is blown. Add the roasted vermicelli and let it cook and turn soft. Do not forget to stir in between. This would take about 8-10 minutes depending on the thickness of the vermicelli. Add cardamon pods and cooked tapioca pearls. Simmer for a couple of minutes more. Remove from heat. Keep aside for about 30 minutes so that the Payasam thickens a bit more. If you are using full fat milk, add 250ml of water. You can also use roast vermicelli which is available in the market. 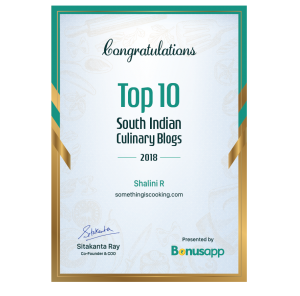 Adding Tapioca pearls/Sabudana is optional. 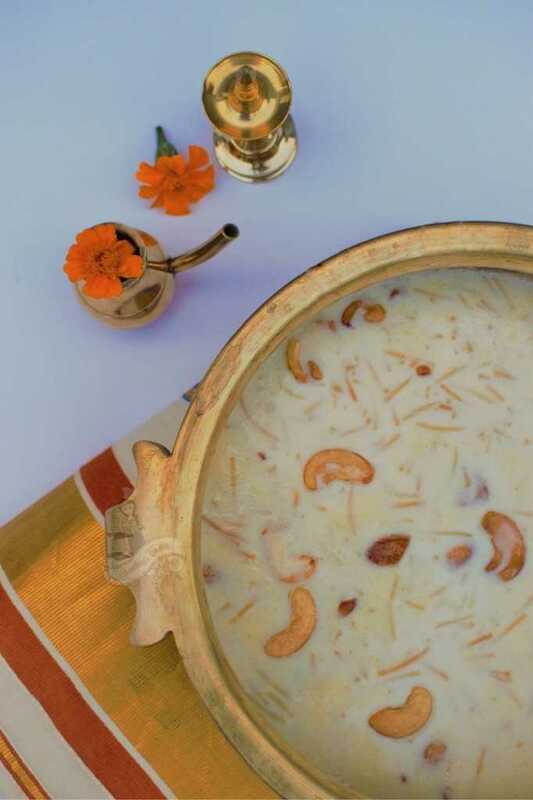 The payasam is allowed to rest for 30 minutes to an hour so that it thickens and gets to a creamier consistency. Payasam is my favorite both TN and Kerela styles! I feel they are better than the old north Indian kheer made using rice! That looks so yummy. I have always known Semiya (we call it sevai in the north) to be the easy dessert. How much cooking kheer needs, isn’t it?